I had a dilemma - what to do with approximately 500ml of freshly brewed espresso. That's enough espresso to keep me in iced coffee heaven for several months. Or, I could bake. And still be in iced coffee heaven for a good while! 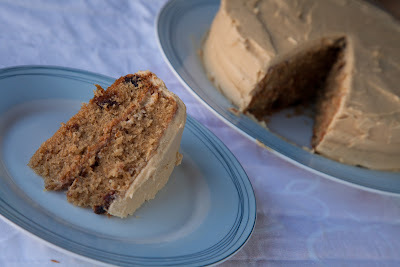 So, I took said espresso, and some dates, and made a cake. The finished product was totally delicious. The best idea I've had in a long time. Heat the oven to 180˚C. Grease two sandwich tins and line the bases with baking paper. Cream the butter and sugar together until they are pale and fluffy. Add the eggs one at a time, beating well after each. If the mixture starts to curdle, add a little of the flour to bring it back. Fold in the remaining flour with a spatula, then add the espresso and dates. Stir to combine. 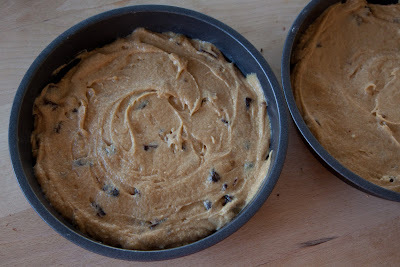 Split the mixture between the sandwich tins and bake for about 30 minutes. Cream the butter in a mixing bowl before adding the icing sugar. This step is going to make a BIG mess. I always cover the bowl with a tea towel in a vain attempt to confine the mess. Once all of the icing sugar and butter are combined, add in the espresso. You want the icing to be thick, but not so thick that it is not spreadable. Add a little more espresso if you need to thin it out a little. 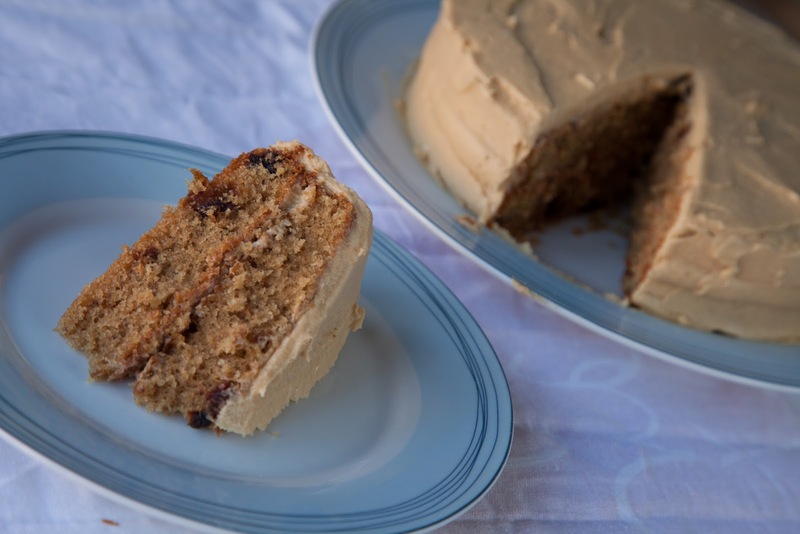 Once the cakes are cooked, turn them out onto a wire rack and allow them to cool completely before icing. 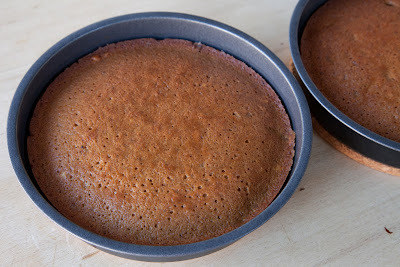 To assemble, spread a thin layer of the buttercream onto one of the cakes, and place the second cake carefully on top. 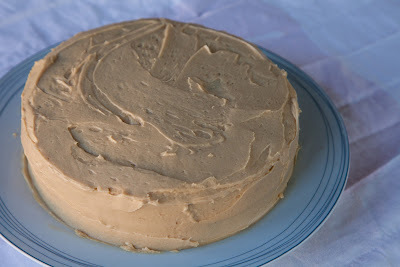 Using the remaining buttercream, cover the entire cake - including the sides. Once done, cut a slice and eat immediately.